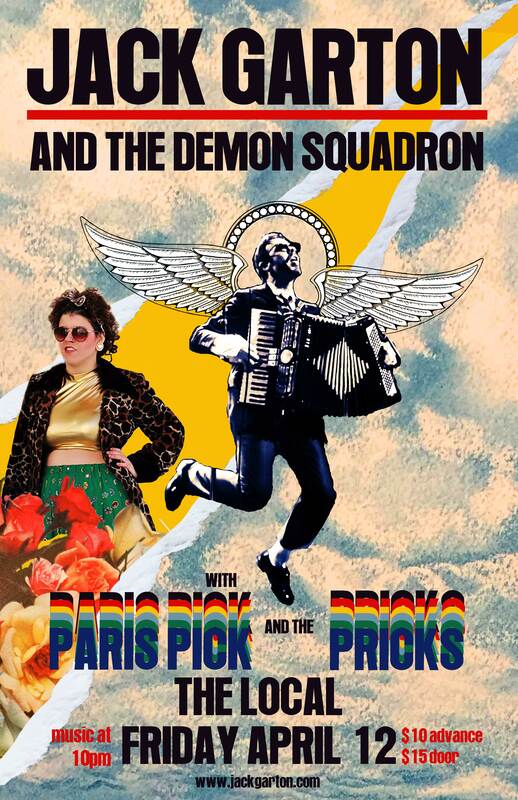 Jack Garton and the Demon Squadron are dream-teaming it up with Paris Pick and the Pricks at the Local Bar April 12 for a banging night of picking and squeezing! Coming from Galiano Island in the Salish sea, Jack Garton’s pursuit of foot-stomping beautiful songs has taken him as far as Europe, Canada’s arctic, and the Southern USA, playing his unique combination of trumpet and accordion. Parts writer, composer, player and showman, Jack’s show is a roller-coaster tour through roots music in the folk and blues traditions. Songs full of passion, curiosity and life are set to rhythm and let loose in the hands of his dynamic touring band the Demon Squadron. 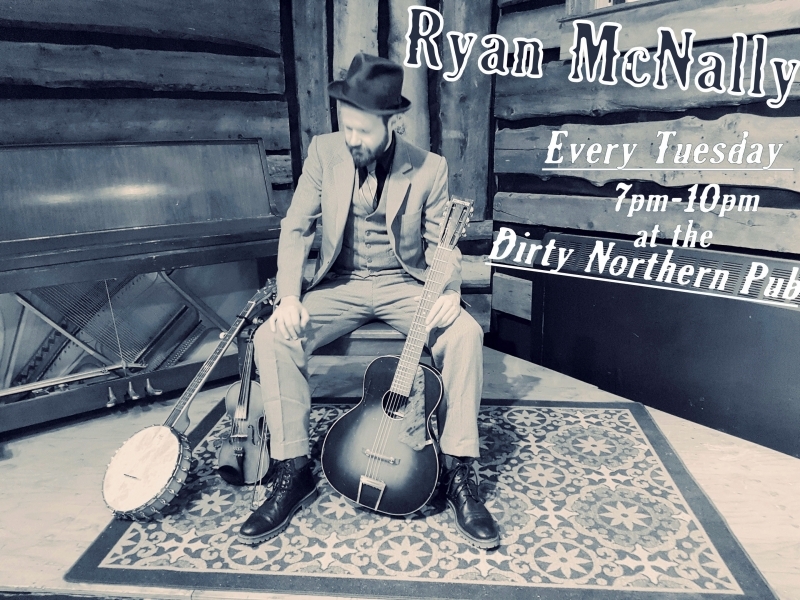 Since releasing their first full-length album together in summer 2016, the band has been busy steadily playing Western Canadian festivals, clubs, halls and house concerts. Their second album Love You Over Time, released in summer 2018, is seeing Jack Garton gaining fans as a young songwriter and performer to watch.